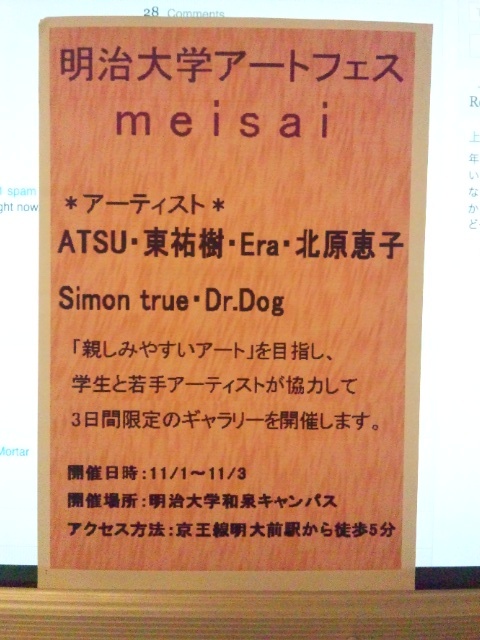 Simon Tue and Dr.Dog are doing group exhibition with four other artists. It starts from November 1st – 3rd 2012, at Meiji University IZUMI Campus. 5min walk from MEIDAIMAE stn on Keio LINE.